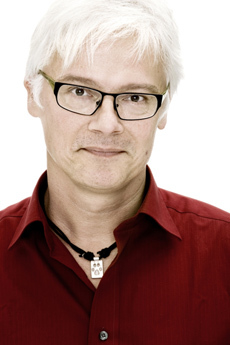 Finn Kollerup is an experienced innovation expert, and has written several books on innovation. Finn has a background as a Chemical Engineer, holds a PhD in Biotechnology, and an MBA in Innovation and Technology Management. He has studied in Denmark, Canada and New Zealand. For the first 15 years of his career, he was employed as a scientist and senior manager at Novozymes, a leading Danish biotechnology firm, specializing in production of enzymes by fermentation. The biotech years were spent mostly in Denmark, with one expatriation to Japan for 6 months. Since 2000, Finn has been CEO of his own innovation consultancy, which was called “altforkreativ” for the first 15 years. Literally the name means “much too creative”, and nicely reflects the initial focus of the company: To inspire and facilitate creativity, mainly through seminars and workshops. As the company has developed, Finn has attracted an increasing number of clients from pharma, biotech and other knowledge-intensive industries. The focus has gradually shifted towards innovation, and is very much embedded in Finn’s extensive experience from these industries. Consequently, the name of the company has been changed to “Finn Kollerup a/s”, with the tagline “tangible innovation”, to stress that this is really what the company is about: We help innovation executives get more out of their innovation efforts.